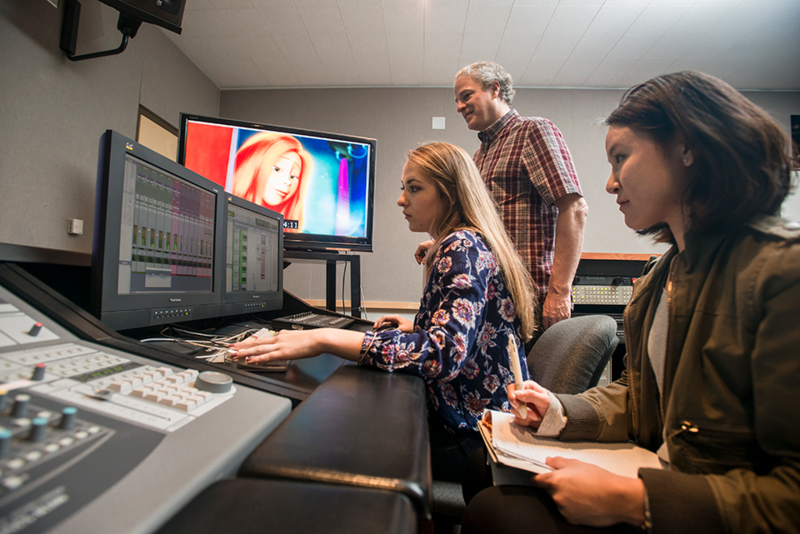 Variety deemed CSUN's Film school as one of the top film programs again. Photo by Lee Choo. Entertainment trade publication Variety has again recognized California State University, Northridge as one of the best film schools in the world. The elite group also included AFI Conservatory, Columbia University School of the Arts, New York Film Academy and New York University, among other prestigious institutions. Variety, which has consistently praised CSUN’s film program, this year cited the CSUN Cinematheque, the 130-seat motion picture theater, the only venue of its kind in the San Fernando Valley. CSUN alumni work across every facet of the television and film industries. Alumni can be found in doing different jobs such as: production, directing, editing, screenwriting, acting and special effects. CSUN’s film program consistently earns industry recognition. The Hollywood Foreign Press Association (HFPA) — international journalists based in Southern California who cover Hollywood and host the annual Golden Globe Awards® — recently awarded the school a $2 million grant as an investment in the diverse voices of future filmmakers. In response to the donation, last year CSUN dedicated the west wing of Manzanita Hall to the HFPA. Two CSUN film student projects — from Martin Ibarra and Daniel Yonathan — were semifinalists in the 44th annual Student Academy Awards. Last year, CTVA student Taylor Salan’s film Vestige made the British Academy of Film and Television Arts’ short list for its Student Film Awards.